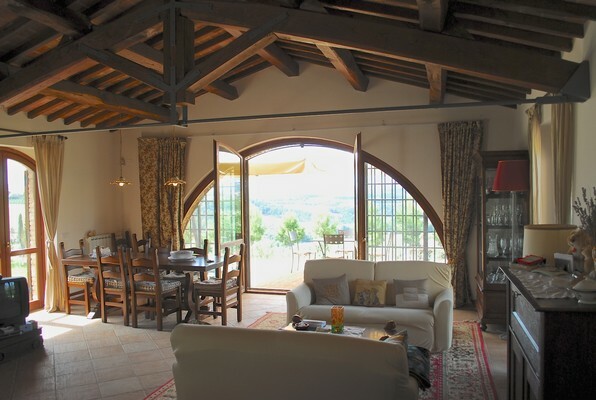 A beautiful designed and well appointed country villa for holiday rental - short or long term, in the most panoramic spot imaginable with amazing views of magnificent medieval Todi in the near distance and just a 12 minute drive away and set in a large picturesque terraced garden with olive/ grove, cypress trees and fragrant lavender. 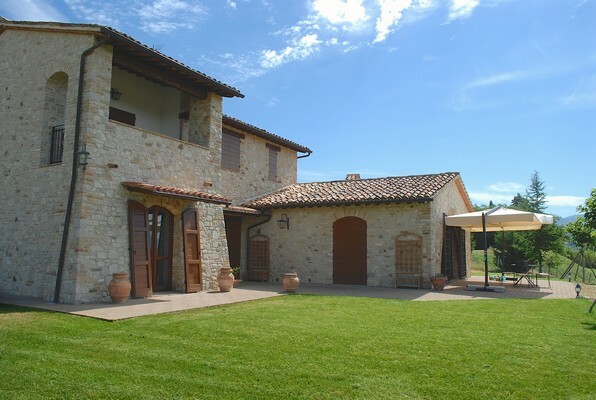 The country villa is large, spacious and luminous and all of its furniture and furnishings are of the highest quality. A beautiful arched glass doorway from the stunning lounge leads to a terrace for alfresco dining. and enjoying the Umbrian landscape. 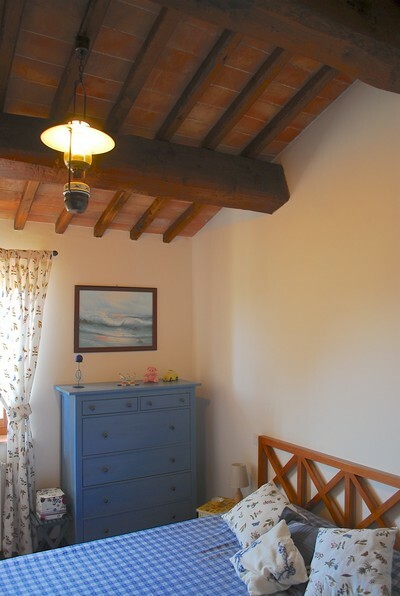 Attention to detail is paramount for guests' comfort and the authentic and characteristic wooden beams and terracotta floors give it that authentic air. 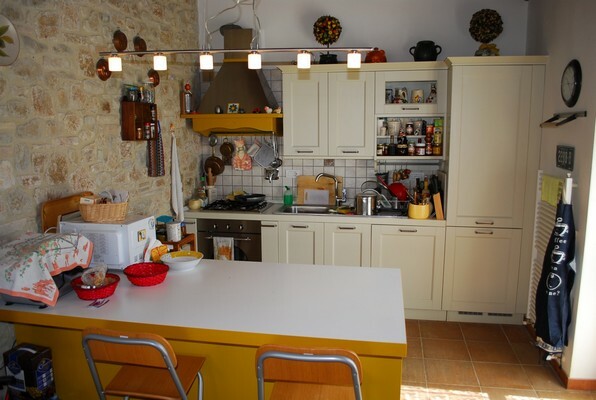 The kitchen is fully fitted and modern with all the appliances - hob/oven/fridge/freezer/dishwasher and breakfast bar. 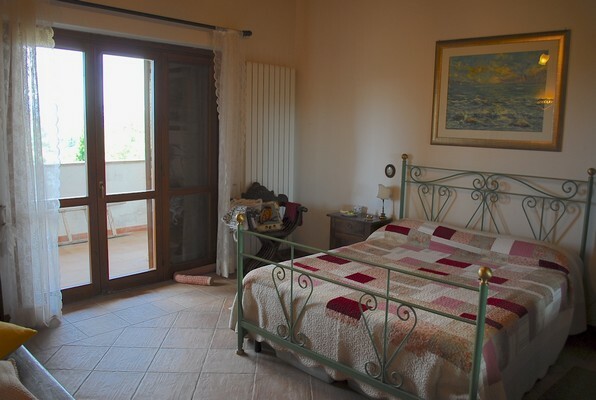 There are 3 double bedrooms and 2 bathrooms- 1 with shower/1 with bath The master bedroom opens out onto a wonderful covered terrace, and another has french doors leading out onto a patio. The tranquillity and well-being that the villa offers are in close harmony with the variety and beauty of the surrounding area. From the Villa, easily reachable within 15 – 45 minutes are famously unique places renowned for their history and beauty such as Assisi and Gubbio, splendid Medieval cities like Todi, Bevagna, Montefalco, Spoleto, Spello, Orvieto and of course Perugia and not forgetting Lake Trasimeno and Cortona. Guests can enjoy the flavours of a land whose culinary tradition and fine wines are another major source of pleasure for those who visit. 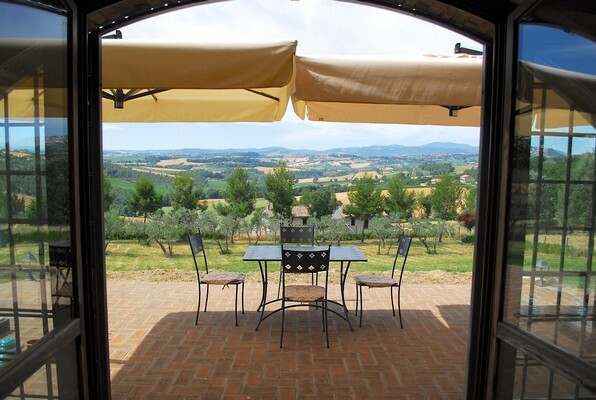 From Due Santi Villa you can reach Siena, Florence and Rome in no more than 2 hours travelling by car or train. 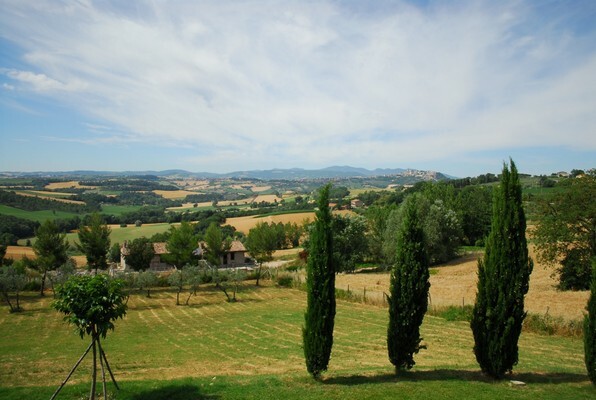 Medieval Todi is just a 12 minute drive away. You will be amazed by its beauty - the piazza is classed as one of the finest in Italy and boasts two palaces, one a museum exhibiting fine art and antiques. There are many fine bars and restaurants to choose from and the many craft shops will be a delight. 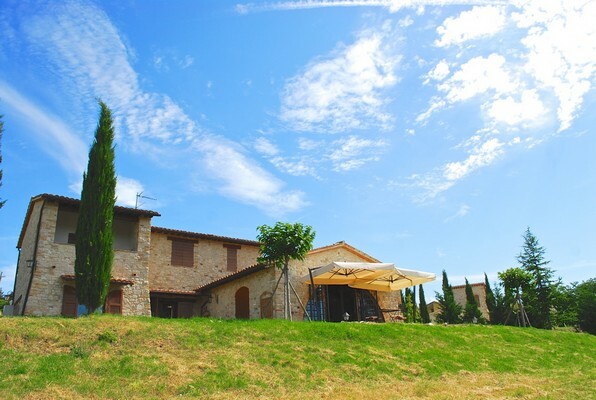 Todi hosts a very busy events calendar and all through the summer months many varying events take place such as craft and antiques fair, international hot air baloon event, alfresco concerts under the stars, live theatre and shows to name a few. Take a walk around Todi and take in the medieval air and experience the magnificence of the architecture, the churches, especially Basilica di Santa Maria Consolazione.